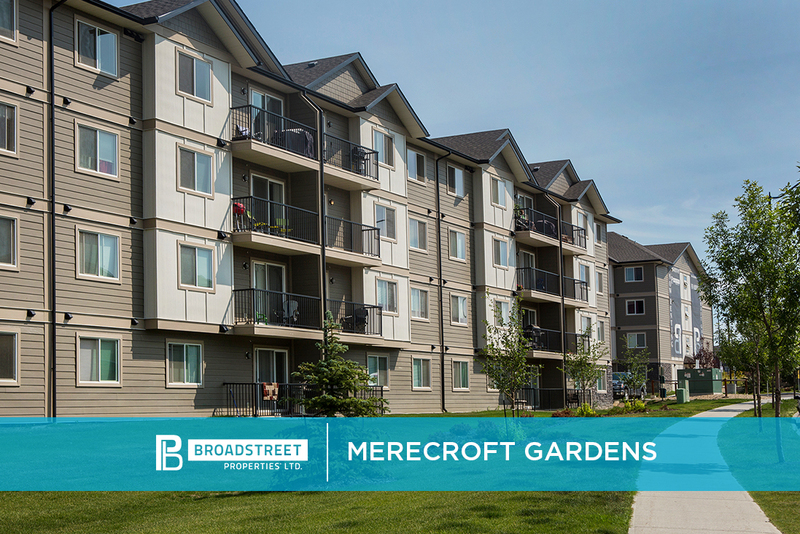 Broadstreet's Merecroft Gardens offers 2 bedroom pet friendly apartments in Edmonton's Summerside neighbourhood. This modern apartment community is conveniently located near South Edmonton Common Shopping Centre and Meadows Community Recreation Centre. It is in walking distance to daycares, grocery stores, and excellent local schools. Merecroft Gardens is situated just off Ellerslie, Anthony Henday Drive, and Highway 2, making downtown Edmonton easy to access. Inside your spacious, open-concept apartment, you'll feel at home with in-suite laundry, large closets, and your own private patio or balcony. Your four-legged friends will love our pet-friendly apartment community, where surrounding walking trails, parks, and ponds offer the perfect setting for leisurely walks, runs, or bike rides. Encompassed by natural beauty and minutes from all amenities and transportation, Merecroft Gardens is the perfect place to call home.